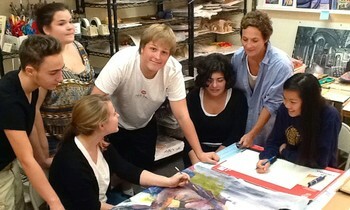 Students develop their portfolios in yearlong weekday and weekend classes, as well as private lessons. 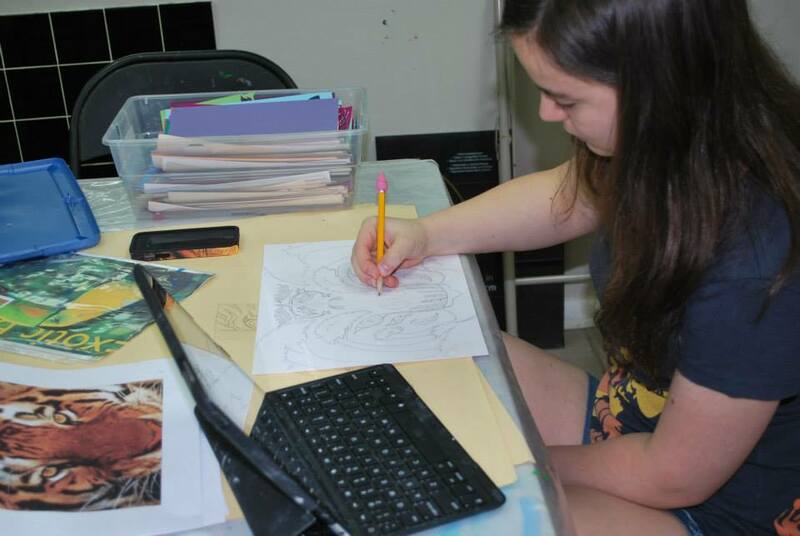 It is recommended to begin this process in 7th grade for middle school students who want to attend a high school art program or as a junior for high school students who plan to study art on the college level. Our program gives direction and support to the portfolio student as they put together high-level creative and technical pieces to create a portfolio that will meet and exceed the school’s requirements. We help our students create an image and tell a story about themselves through their work. Portfolios usually have a theme that reflects the lifestyle, activities, and future artistic goals of each student. We provide complete writing services for essays, portfolio descriptions, artist statements, resumes, and photography for digital submission. By beginning of Senior year all Junior students and any new seniors MUST sign a portfolio contract to be in our program. Click for more information and samples of our students’ work. As part of our comprehensive Portfolio Prep Program, students are encouraged to sign up for a college prep day at the School of Visual Arts and Parsons in NYC. High School Juniors attend in March and High School Seniors attend in November. Escorted by Drawing Room Director Christine Zaccardi and several instructors, the students begin the day by attending a lecture and sophomore design class given by Graphic Design and Advertising Dept. Head Richard Wilde who, along with SVA alumni, discuss and demonstrate the work they are currently doing and contemporary trends in the field. The students then proceed to the Admissions Department for a preliminary review of their portfolios, including works in progress for thorough feedback on their potential. 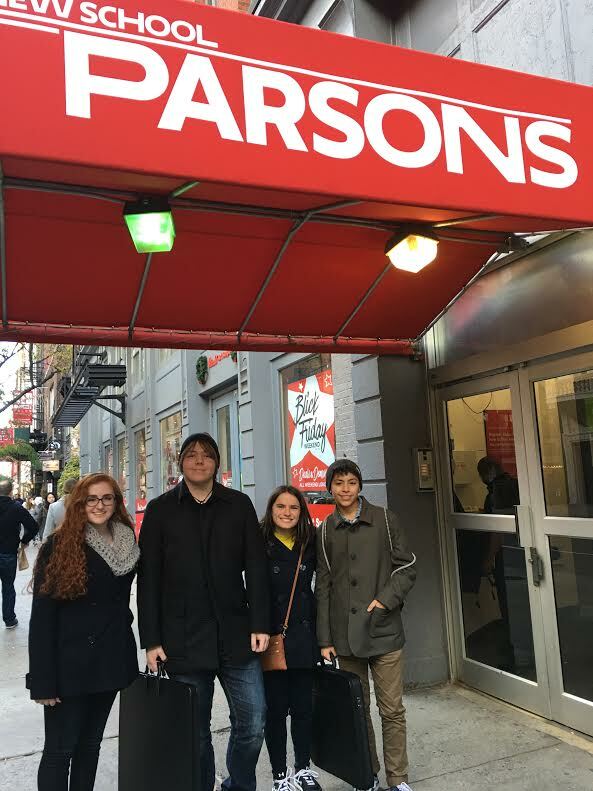 A tour of several dorm styles, lunch, and a visit to Parsons School of Design followed by a portfolio review concludes the day. If time permits, we will take a trip to the Art Director's club to view SVA junior and senior advertisting and 3D work. Senior students with completed portfolios are invited back in November where admissions counselors may issue a visual acceptance to the school. SVA and Parsons are among the top art schools in the country with students immersed in the world of art at their doorstep. 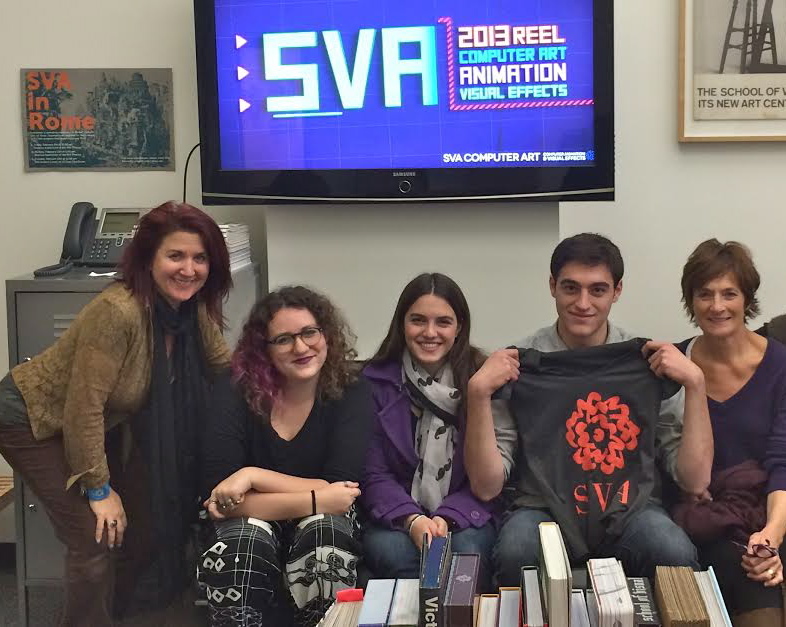 Ms. Zaccardi and other staff members are alumni from SVA and offer an informative experience to portfolio students who in turn gain insight about possible careers as well as requirements for acceptance. Students of SVA are often offered employment in companies by their working professors before graduation. Join us for this invaluable experience for $75, which includes transportation. Bring money for lunch. We now offer portfolio development sessions via skype for your convenience! This service is for students who are out of state or unable to get to the studio due to sickness, lack of car, etc! We will work with each student to make sure they have the supplies they need to complete work from their own house. $80 per hour (Initial session is 75 min. to allow time for introduction to the portfolio process). Text 201-232-8855 to set up date and time. This two hour initial planning session is a prerequisite to enter the portfolio development program classes. A consultation with the studio director educates both the student and parents on the type and quality of work that is expected of the student tailored to specific schools. $160 – 24 hour notice for cancellation or full fee applies. Services include essay and resume writing, portfolio descriptions, artist statements, and photography for digital submission. We help each individual student submit to each college via slideroom, CD, or email. Colleges require a 3-4 line description of each piece to accompany the submission. These descriptions need to tell a creative story about the creation and success of the piece, we help season each student to be triumphant in learning copywriting. during regular class time. Students must work privately with the studio director to ensure a perfect submission. "Joining forces with The Drawing Room was one of our best decisions in the entire college applications process. As we learned from you, hard work put into a porfolio is rarely enough - especially when a 17 year old has their sights on being warmly welcomed into their top tier art schools. Having an objective and caring professional team of artists who can speak to your child and help them see the big picture was invaluable. Seeing Claire's delight upon her acceptance at Parsons/The New School for Design, was all the proof a parent needs to know they've done well by their child. Thank you for everything you and your wonderful colleagues did to support and guide Claire."